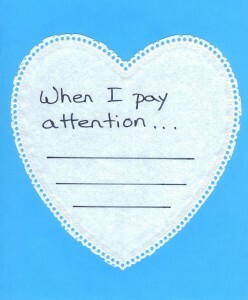 Home » Posts » Attentionology for K-5 Teachers » Attention Hearts are Forever…Get Ready for Valentine’s Day! Hearts posted on a bulletin board, ready to “flip” to reveal messages about the importance of paying attention. Top this display with a headline: Attention Hearts are Forever! For those who celebrate Valentine’s Day on February 14, this post offers some get-ready ideas for a functional and festive celebration! If you have students who are easily distracted in our world of sensory bombardment, it’s wise to find ways to help kids learn and practice the important skill of paying attention on special days…on any day…year ’round. Attention Hearts are Forever! Encourage kids to have a BIGGER heart for paying attention by creating a bulletin board with that focus as the header…Attention Hearts are Forever! Attention Hearts are Forever! 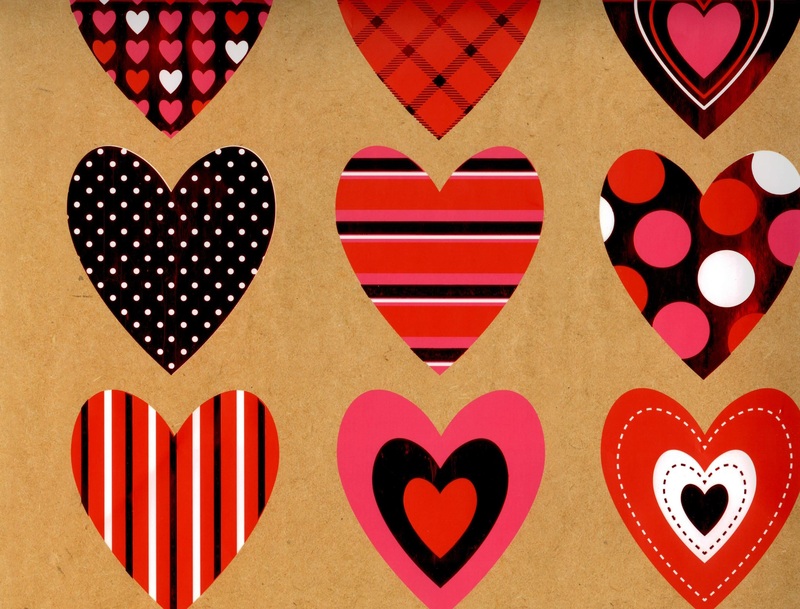 to Flip – Ask students to choose pre-cut decorative paper or cardstock hearts or invite them to cut out their own hearts from available paper. Offer scrap wrapping paper with leftover Valentine’s Day designs or colored construction paper that students can cut into heart shapes and decorate with crayons or markers. K – 1 students can write their names on the backs of the hearts. Post the hearts on your Attention Hearts are Forever! Bulletin Board with double-sided tape at the tops of the hearts, making the hearts ready to “flip.”. Invite kids to play a Attention Hearts are Forever! Flip Game. How to Play: Let student volunteers take turns flipping the hearts and saying the names on the backs. In grades 2 – 5 instruct students to flip their decorative hearts and write messages on the backs of the heart shapes. The messages: personal promises to pay attention in school. Involving students in the art of making hearts will help engage them in the bulletin board’s main message: Attention Hearts are Forever! because paying attention is important. How else can you help kids learn that Attention Hearts are forever? Cut outs from Valentine gift bags make great additions to heart-themed bulletin boards! 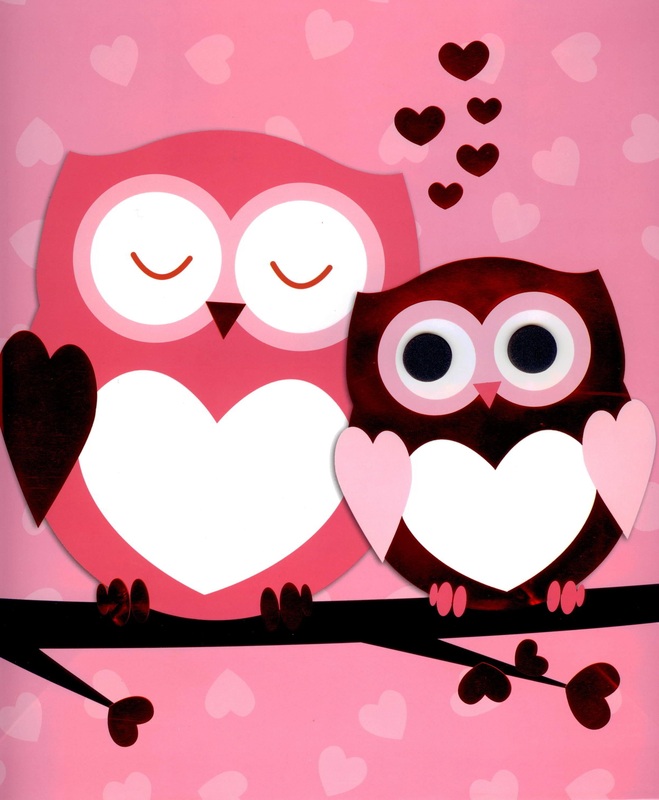 Please Give a HOOT About Paying Attention – Use owl designs, cut from Valentine gift cards or bags to make eye-catching bulletin board designs. Post a big bright header on the bulletin board that reads Please Give a HOOT About Paying Attention! Add pre-cut owls and hearts to a colored paper background on the board. Ask students to make hearts from cut out heart doilies or construction paper. 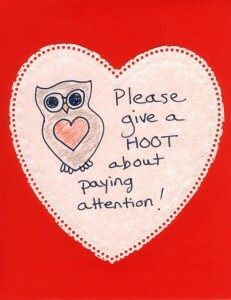 Post students’ hearts around the owls. 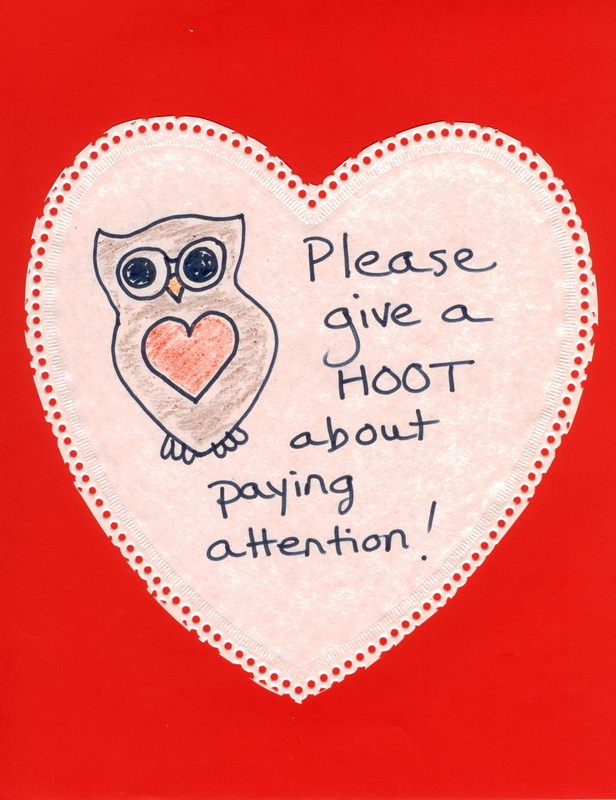 Explain to the class that their hearts will show that they too “give a hoot for paying attention.” Attention Hearts are forever! Make a connection between owls being notoriously “wise” and the wisdom of learning at a young age how to stay focused when distractions abound. Ask students in grades 3 – 5 to think about the BENEFITS of paying attention. Use their ideas for another heartwarming bulletin board design.. Statements from the Heart – Add a large white heart-shaped piece of paper to your Attention Hearts are Forever Bulletin Board. Give students white hearts or white paper on which they can draw large hearts for their writing. Post students’ statement hearts on the Attention Hearts are Forever! Bulletin Board. Color Me an Attention Lover – Teach children in grades K – 1 the meaning of the word attention. In the process, explain the importance of paying attention in school. Offer details about how paying attention means staying focused to finish a task like putting all of the pieces in place to finish a puzzle and see the whole picture. Make enough copies of the Color Me an Attention Lover heart so that each student can have one to post with a picture of themselves on the Attention Hearts are Forever! Bulletin Board. How do you encourage kids to embrace the concept that Attention Hearts are Forever!? ‹ For the Love of Simple…Simple Tricks Start a Super School Day! 3 Pings/Trackbacks for "Attention Hearts are Forever…Get Ready for Valentine’s Day!"